Home Uncategorized Oyster Roast Sunshine! Year #10 of our Annual Oyster Roast Fundraiser finally brought us gorgeous weather! It was fabulous to see so many members of our community come out in support of our mission. We are grateful for you! BIG thanks to our sponsors who helped make this event a success: Charleston City Marina and Boatyard, Charleston Endodontics, Bank of South Carolina, Durlach Associates, Lowcountry Eats, Advanced Termite and Pest Control, Perrin Woodworking, Parker Marine, Lowcountry Eye Care, Charleston Harbor Tours, S & J Yachts, Sadler & Hamm Insurance, Zhik, UK Sailmakers, CRE843 and Charleston Realty along with the businesses that donated to our silent auction and our volunteers – you guys rock! Funds raised will go towards facility improvements along with scholarships for Sailing into STEM programming. The Merrrythought Trophy recipients were announced and we recognized long time Board member Miles Martschink for all of his dedication to our organization over the years. 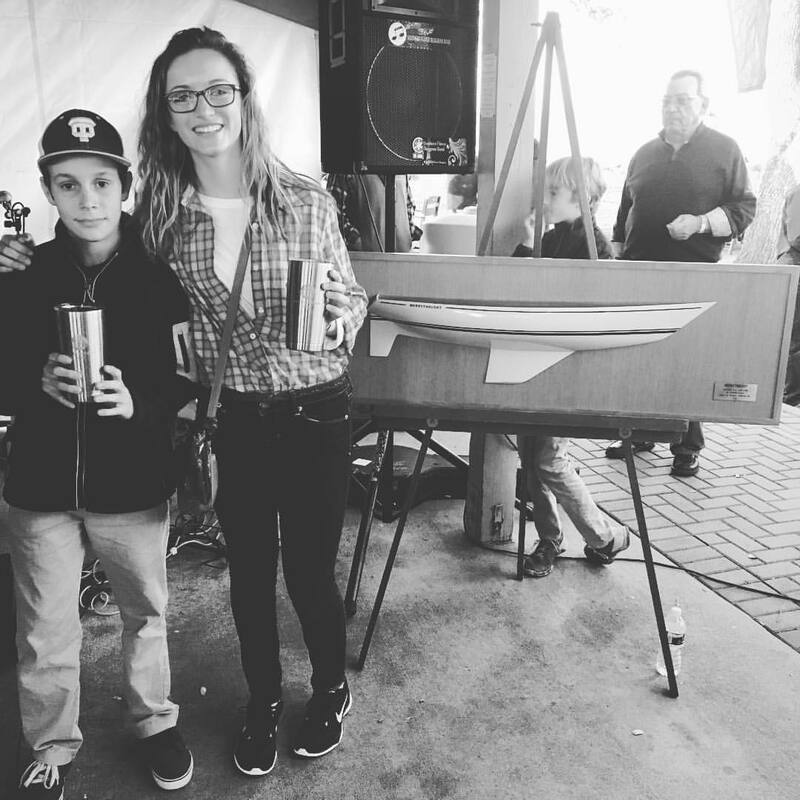 Two very deserving CCS sailors were awarded the Merrythought Trophy in memory of Jack King at the 10th Annual Oyster Roast Fundraiser. Congratulations to School of the Arts sailor Sarah DeLoach and Allegro Charter School of Music sailor Jack McKenzie who display superior character, sportsmanship, love of the sport and are actively involved in many facets of our programming.